She had told us it is an original and possibly only a few Godivier D-tec chairs were made. I’m not sure on the value or any other specific details and would appreciate any help on dating the chair. And any information on Jean-Louis Godivier and whether the chair is collectable or valuable. I believe the design is called ‘D-Tec’ and it is out of production. 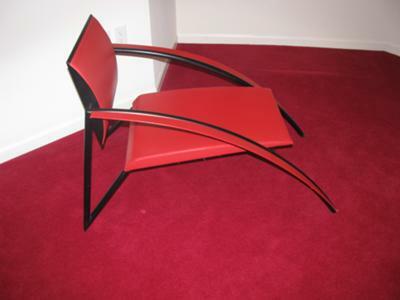 This D-tec chair appears to be a relatively modern design emulating Retro or Art Deco design and was designed by Jean-Louis Godivier, circa 1980. 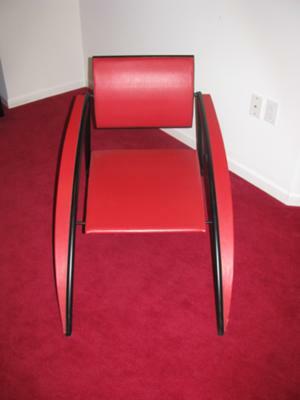 I would advise taking the Godivier chair to a good auction house to have it professionally appraised.